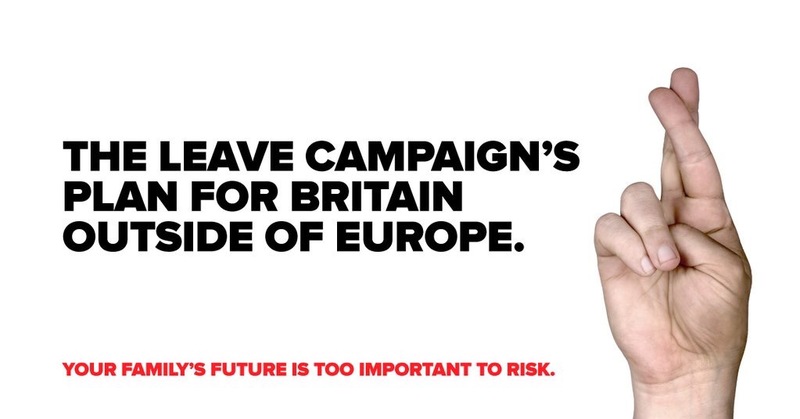 The Remain campaign today released a poster attacking Leave for a perceived lack of clarity around plans for a post-Brexit Britain. Whilst it’s clearly reminiscent of the 1987 Conservative classic “Labour’s Policy on Arms”, it still has merit. Uncertainty around what the future might look like is a major weak spot for the Leave campaign and strategically Remain are wise to remind voters about it. The execution is good, but I wonder whether there was another more provocative and / or amusing image they could have used. Whilst the copywriting in the original (below) is excellent, the magic in the poster comes as much from the ridiculous and unusual visual of a member of the British army, in full military gear, standing gormlessly with his hands raised in surrender.